Another hibiscus variety! This one is called Hurricane Lily. It's a cultivar of Hibiscus rosa-sinesis. I took this photo with my point-and-shoot camera. That so pretty. I saw one today that was orange and the edges were almost burgundy. I should have pulled over and taken a pic. Not quite as pretty as this one though. Very beautiful! 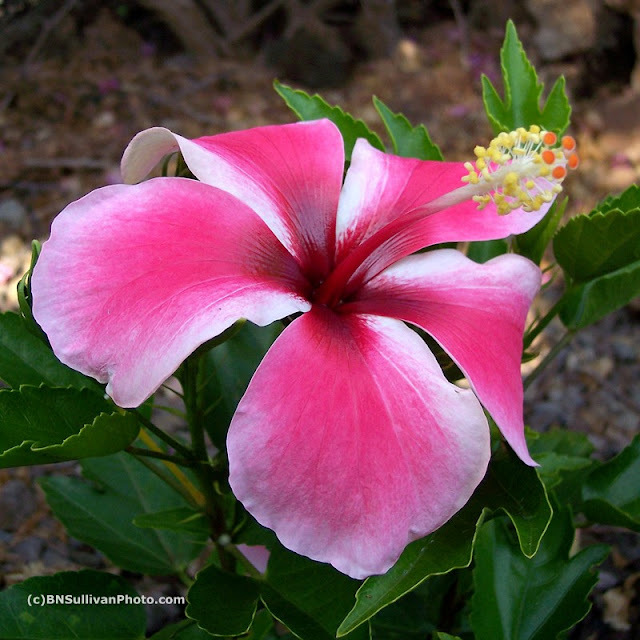 I love the Hibiscus flower....even have a tattoo of one on my upper arm. Loved your blog and would love to come back to see what amazing photos you bring us. @ 2Sweet - Orange and burgundy sounds amazing. You'd better go back and get a picture. @ Akoni - Thanks. If you like hibiscus flowers, this is the place. I have many varieties in my garden and I photograph them all the time. Wow - the colors are so beautiful!